Geologist and former NASA astronaut who became the first American woman to walk in space. President Bush appointed her a member of the National Science Board in 2004. She received her B.S. in Earth Sciences from the University of California, Santa Cruz, and her Ph.D. in Geology from Dalhousie University. 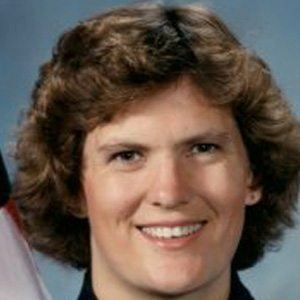 She served aboard the three space shuttle missionsSTS-41-G, STS-31, and STS-45. She was born to Barbara and Donald in Paterson, New Jersey. Although not as famous as Neil Armstrong, she was also a NASA astronaut.